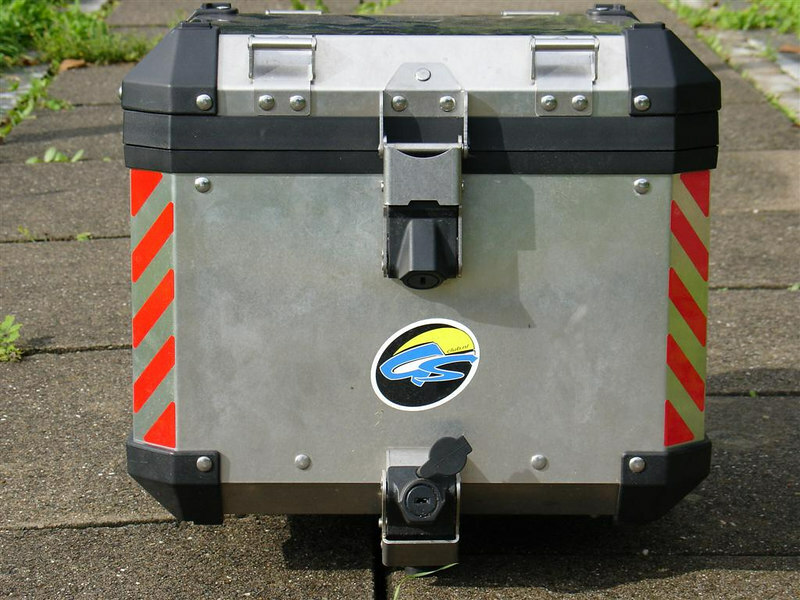 1200GS Adventure top case with reflective chevrons applied. Red to the rear facing edge. White for the front facing edge Yellow to the edge of the lids. Also available to fit the 1200 ADV panniers. All in Reflective vinyl,this pic was taken in normal daylight with NO FLASH! pic courtesy of Tom De Graaf-thanks Tom!